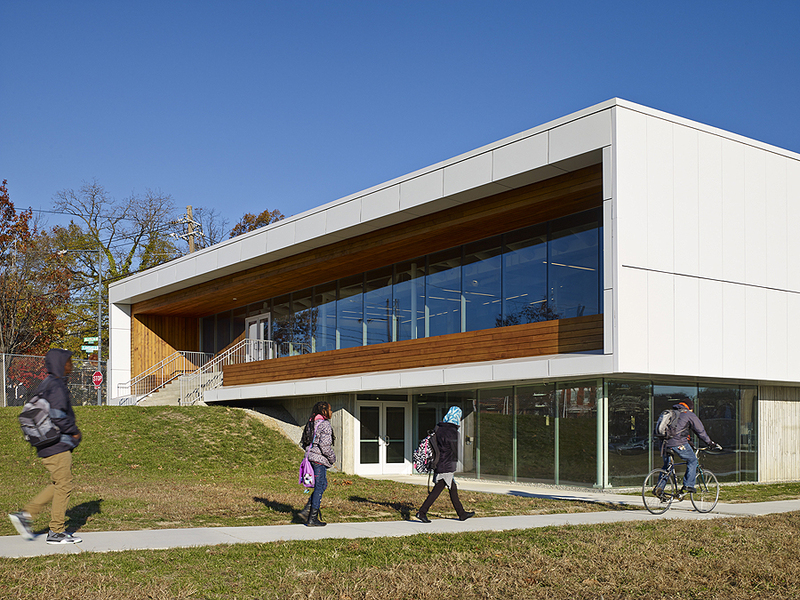 E.L. Haynes Public Charter School, Kansas Avenue Campus, includes the full renovation of a former District of Columbia public elementary school, constructed in 1966, and an addition that houses the high school. 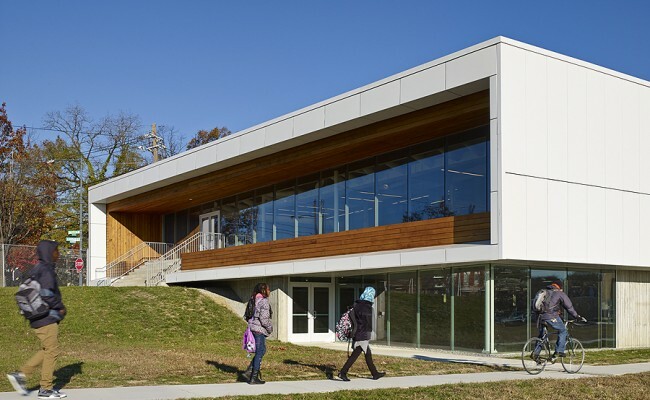 The dramatic contrast in the ages of the students in those two components helped to drive the architectural solution. 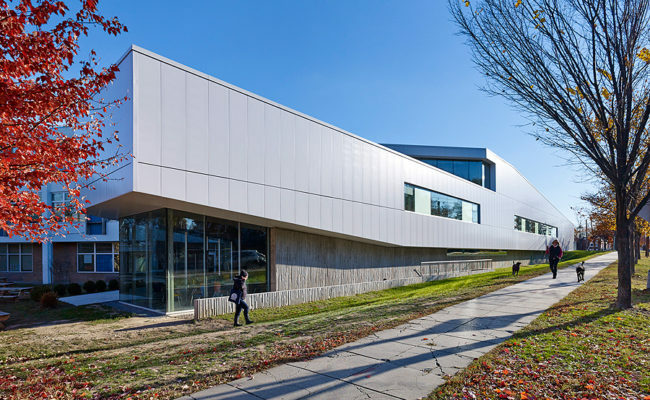 The renovation and addition are related and connected, but each is sufficiently distinct to give definition and an appropriate degree of containment and separation appropriate to the two school components. This is reflected in the joint between them, acting as both hinge and link. 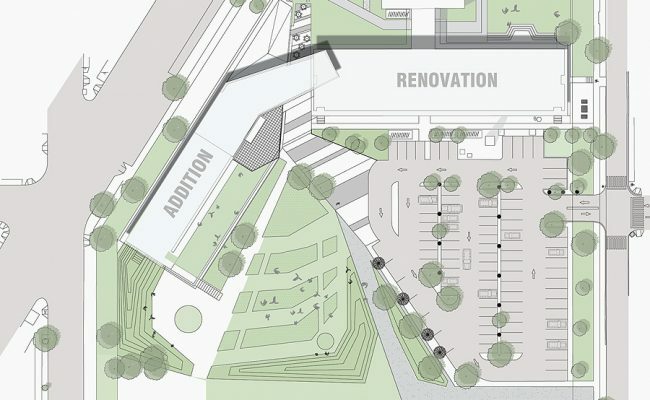 The orientation of the addition is at an angle that helps embrace the large outside space to the south, creating arms that anchor the resulting form to the overall 4.5 acre site. 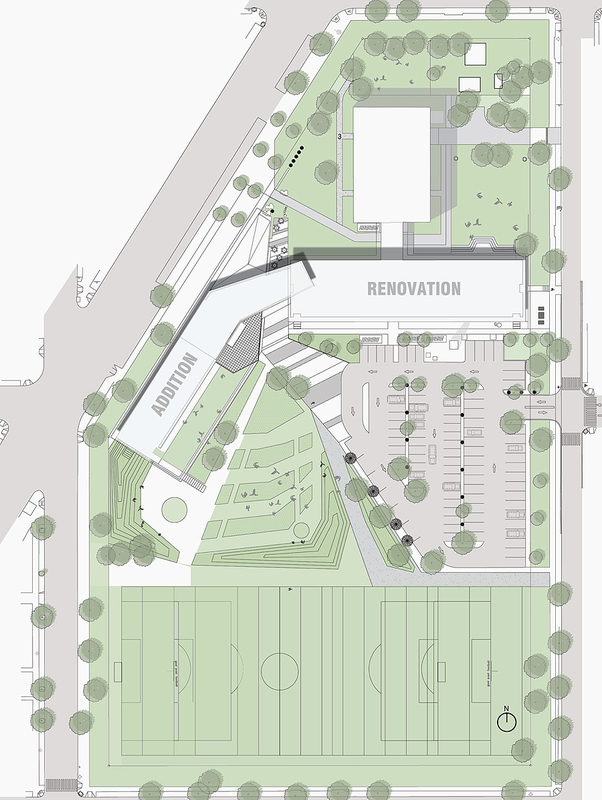 Before reaching the athletic play areas, the landscape creates outdoor learning and social spaces plus gardens to support the science program. Haynes follows the Expeditionary Learning curriculum, adapted to fit its own particular vision. 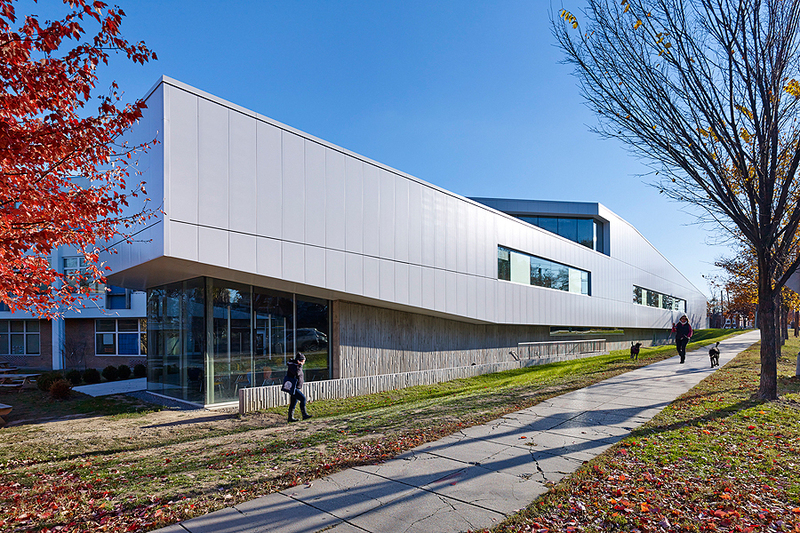 The program and values of the school are embedded in the architecture, in spaces that are diverse, rich, and with ample opportunities for out-of-classroom engagement between students, and between students and faculty. 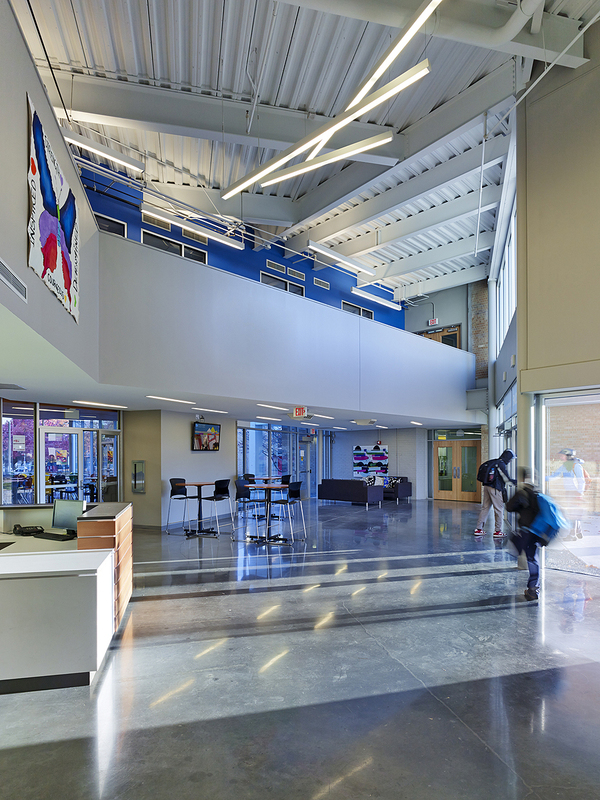 Informal learning, including the use of the building as a teaching instrument, is a core element of the school. It’s motto is “Be Kind, Work Hard, Get Smart.” Those values are manifest in the tone of the environment: inviting, friendly, and at the same time disciplined. 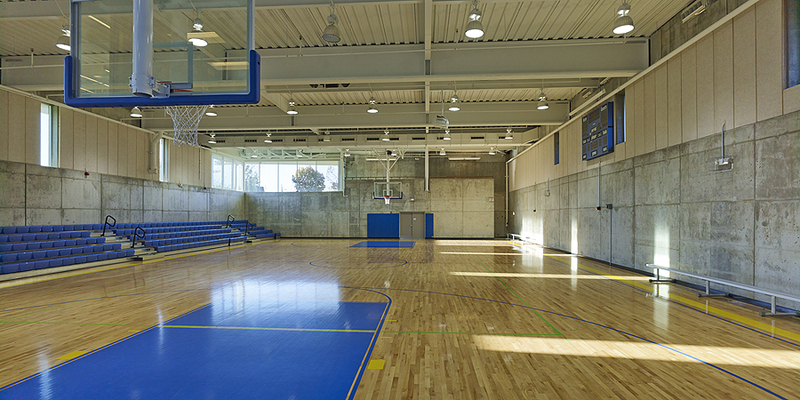 In the high school, the gym box is pushed halfway below grade in order to reduce the overall height of the addition, and to create architectural alignments of new and old. 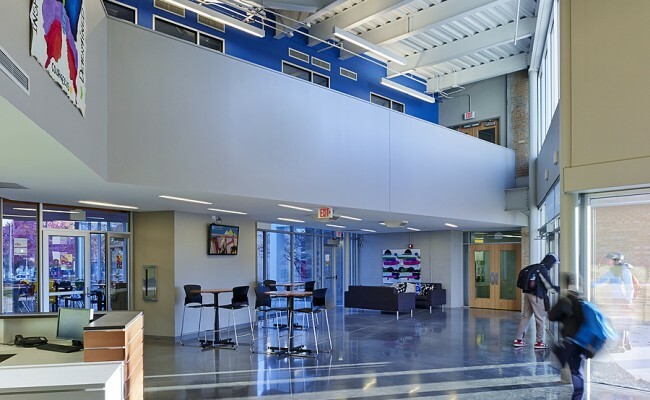 The program includes a cafeteria, a main lobby space for both identity and circulation, classrooms and a south-facing resource center that opens to the site as an open “picture frame.” This element also relates the Kansas Avenue campus to the Haynes middle school located on Georgia Avenue, which features several picture frame elements and helps create a unified identity for E.L. Haynes. 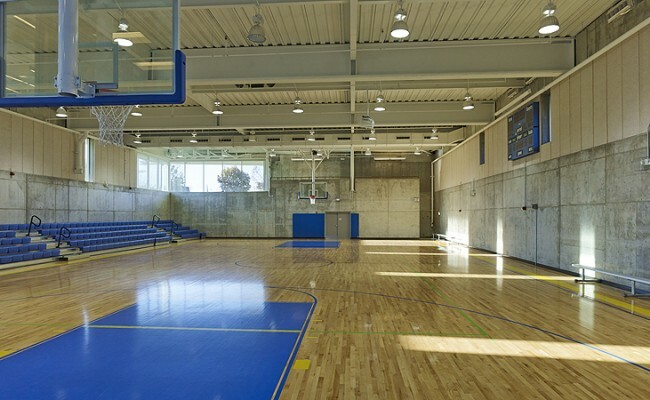 Taken together, the elementary school and high school total 90,000 square feet, supporting the educational needs of 775 students.